The illegal U.S.-led invasion of Iraq led to the deaths of at least one million people, destabilized the entire region, and created extreme conditions in which militant groups like al-Qaeda spread like wildfire, eventually leading to the emergence of ISIS. In Afghanistan, the ongoing U.S.-led war and occupation — which the Obama administration just prolonged for a second time — has led to approximately a quarter of a million deaths and has displaced millions of Afghans. The disastrous U.S.-led NATO intervention in Libya destroyed the government, turning the country into a hotbed for extremism and allowing militant groups like ISIS to spread west into North Africa. Thousands of Libyans have been killed, and hundreds of thousands made refugees. In Yemen, the U.S. and other Western nations are arming and backing the Saudi-led coalition that is raining down bombs, including banned cluster munitions, on civilian areas, pulverizing the poorest country in the Middle East. And, once again — the story should now be familiar — thousands have been killed and hundreds of thousands have been displaced. I’ve always believed this. The relationship between the United States of America and #Syria, & the broader Middle East, is evolving. America doesn’t really know Syria. It has always played the political game from a quieter angle, relative to let’s say for example, #Egypt under the rule of leaders like Naser & Sadat. Still, for the most part, Syria has been traditionally vilified by the US & its allies. The reality is that there are many commonalities between Syria & America, as farfetched as that may seem. The media has successfully tainted this relationship and the image of Syria, and the #Arab world at large, over the years. But Syria is the only Arab country with a deeply engrained culture of secularism, a value enjoyed and upheld by the US. The paradoxes in US politics is what makes everything so troubling and difficult to understand. 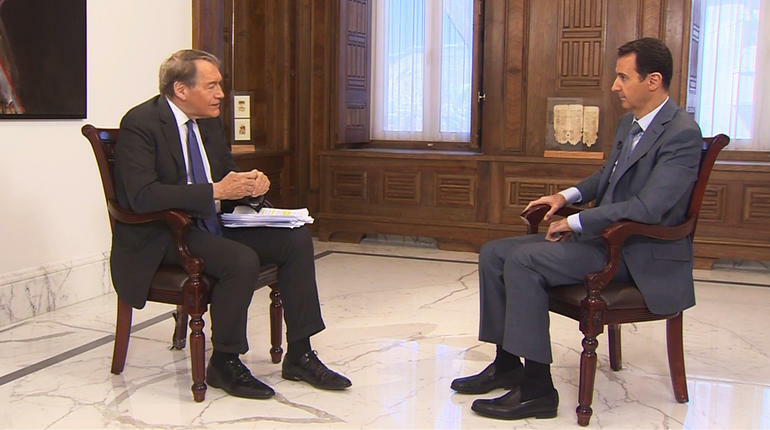 America is, as #Assad said in his latest interview with #CBS’s Charlie Rose, the greatest country. It wouldn’t be wise for any leader or country to not seek cooperation with it. Let us realize however that if indeed the US is a “democracy champion human rights”, it is a flawed one indeed. African-Americans earned the right to vote only 40-50 years ago. What kind of universal crown jewel of democracy are we? But as the Middle East endures another era of tumult and “revolution”, so to has America experienced a change. Day by day, it becomes increasingly apparent that there is a rift within the American population. The people are divided. The politicians are pinned against one another. So it becomes that much more difficult to understand where America really stands. The reality is America is NOT #homogenous. The people have differences. We are diverse. As we struggle for our national identity, and to perhaps establish a new one, age-old reactionaries who serve as the dynasties of American families exploit time and resources in order to perpetuate injustice at home and abroad. As we struggle to establish rights for all men and women in America, our politicians are stripping, exploiting and ignoring the rights of other nations and peoples abroad. There is however, an initiative in the #West, in the US, to make change. I do believe the #Democrats and Barrack #Obama are among the leaders of that potential change, both in the traditions of #American domestic and foreign #policy. What stands against us, however, is an equally if not more powerful and determined force fueled by fanatical ideology and corporate interest, the likes of the #Koch brothers; the #Bush family; the #Republican Party; #AIPAC; prison-industrial complex; #NRA; #racism; KKK; #Zionism; #Corporatism; Oligarchy. Secularizing the conversation on the Palestinian genocide, actually threatens the pro-Israeli argument. It has to. 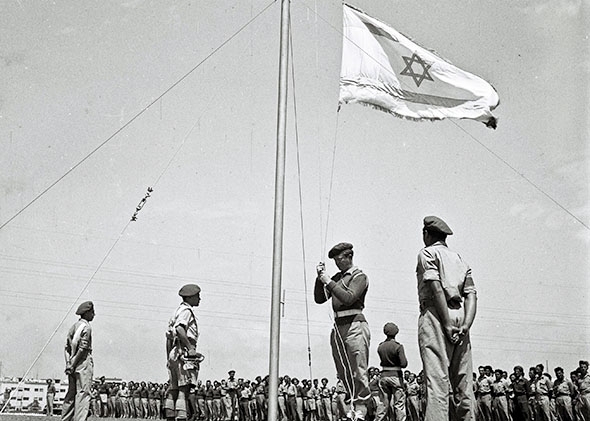 Israel, by nature, is a religious entity — despite efforts by any spokesperson to suggest otherwise. Secularizing the conversation on the conflict between Palestinian nationalism & international occupation, deems Israel a theocratic apartheid-state. Secularization, by nature, requires religious & cultural diversity, egalitarianism and in contrast, rejects elitism, exclusivism & bigotry. Palestinians outnumber the populations of Israelis by almost 4 million. Arabs outnumber the Jews. And yet, the State of Israel, which represents the minority population, protected by self-righteous Western colonialists, remains probably the only Middle Eastern country that is part of the 1st world, with flee-flowing goods, access to technology, industry and mobility within the international economic community. The majority, the Palestinian nation, made up largely of Arabs, Armenians, Jews, Muslims & Christians, are left largely disenfranchised from the entire conversation, deeming the State of Israel an apartheid-entity, comparable to South Africa. Can America, Israel, or any one of the countries in the international community which claim — self-righteously — to be a ‘full-fledged’ democracies put their money where their mouth is? Because I wonder: how can a democracy exist within the confines of a nation-state if it is constantly trading & doing business with corrupt non-democratic states, like Saudi Arabia, Israel, China, Russia & Qatar? The self-righteous attitude which gives the US (& Europe) the audacity to criticize foreign countries for their “non-democratic values” serves as the premise for imperialism & economic inequality in the world. America’s entire economy thrives off Chinese pseudo-communism. How can we claim to be the democratic police of the world? In the 21st century we continue to falsely imprison our own citizens, kill & permit racism towards our own people — how can we make this bold claim? The Republican Party’s unrelenting support for Israel has strangled US foreign policy largely up until the election of President Obama who has to some degree casted a grey cloud over the Palestinian-Israeli conflict. The rise of ISIS has prompted further inquiry into the role played by US allies Saudi Arabia, Qatar & Israel in the spread of fundamentalism in the region, which has been exporting itself to the West since the 1970s for the most part. Monarchy is Saudi Arabia is comparable to Israeli-apartheid in Palestine. The Gulf country is largely responsible for rise in pseudo-Islamic terrorism. It is one of the few countries that continues to maintain a behind-the-doors type of agreement with Israel and major world powers, “oil-for-weapons”, as it is called. It happens to be that jihadis work well with Israel because like Israelis they are paid agents working to serve the cause of colonialism and distortion of reality by associating attacks with religion. In fact terrorists of “Islamist” and “Zionist” persuasion slander both religions. Neither religion, in essence, would endorse irrational violence. The bond between jihadis and Zionists in close, exemplified in the Faisal-Weissman agreement, a formal document which recognizes the Jewish right to existence in mandatory Palestine under a new state called Israel. The extreme version of the Jewish narrative for a return to ancient Israel sits well with many of the Middle East’s despotic monarchs and tyrannical governments — often propped up by Western governments themselves. Secularizing the conversation on the conflict also means that I will place a noticeable effort to avoid referring to the political entity as Israel but rather as the modern, 21st century colonial-outpost of the West & broader imperial global elite. I will refer to groups like Hezbollah as military organizations, and I will make the distinction clear between Hezbollah, an organized nationalistic, military-resistance initiative versus pseudo-Islamic terrorist networks working for foreign agents such as ISIS, al-Qaeda & al-Nusra. These will be referred to as such so as to prevent the slandering of Islam as well as the legitimization of arbitrary colonialism disguised as “international security initiatives”. Furthermore I would also like to make the point that the Zionism’s greatest source of support doesn’t come from Jews. Firstly, American Jews are largely disenchanted with Israel. Secondly, the Jewish community in Israel is comparatively minute. So where does the immense support for Zionism come from? The elite must garner support from an ignorant mass. Seeing as how religion and extremist ideology are the best tools for collective sedation and rallying. Christian-Zionism emanates mainly from the US & parts of the European continent. It is resembles ideologies like fascism, Messianism, Bolshevism, nazism, militant-atheism, anarcho-capitalism & Wahhabism. Based on the common denominator of superiority, these groups reflect one another’s violent intolerance. Is it not possible to refrain from associating anti-semitic discrimination of any kind with social activism against apartheid? Are the two not mutually exclusive? The world expects Israel’s desperate search for/protection of a homeland after the horrors of the Holocaust to take precedence over the Palestinians’ right to self-determination…and will make their right to existence more important than Palestine’s. Settlement-expansion does not convince anyone of the possibility of an actual two-state solution (completely delegitimized). Furthermore the religious & post-WWII argument for the existence of a Jewish state still does not provide a moral, logical solution to the problem of Palestinian self-determination & human rights. This suggests a failure on the part of the international community to properly address the Jewish question of state-hood. The religious narrative coupled with history shows that the Jews have been well-established themselves in various nations of prominence for centuries, in Russia, the US, France, the UK, Argentina & Brazil. Pre & Post-Holocaust, the Jews enjoyed affluence, equality & prominence. Why the need for an extended colony if it requires a second holocaust of an entire nation, the Palestinians? Furthermore, the triumph of democracy in the twentieth century over fascism & anti-semitism shows that despite isolated incidents, the West remains a safe haven for semites of all backgrounds. It’s something I’ve learned here in America. Whether or not it applies to the rest of the world I can’t be too sure but I would give them the benefit of the doubt. Here in America where the emphasis is on individual rebelliousness people don’t have the patience or time for being concerned with human rights. I don’t have time for that, they say. That’s for dictators! They should embrace our freedoms and liberties! That’s commonplace here in the land of the free where self-interest is not only patriotic it is the moral high-ground. But there is much irony and discrepancy surrounding this over-glorified depiction of America. I looked into former Iraqi dictator Saddam Hussein’s human rights track record and while what I found was horrific it was no surprise. Hussein is responsible for the overall deaths of one million of his own people, through torture, murder and bombings. Since America is a so called majoritarian democracy, I thought it would be insightful to put its self-touted exceptional democracy to the test. What I found was quite startling. Since the 2003 March invasion of Iraq led by the U.S. which had the supposed purpose of deposing the ruthless Saddam, the campaign has claimed the lives of 500,000 Iraqis. That’s half a million Iraqis dead in a decade. 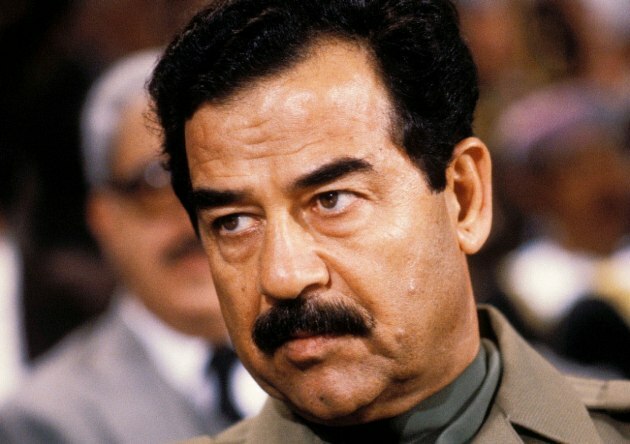 Saddam ruled Iraq for nearly 3. The math is there. Are we any better than Saddam? They say the road to democracy is riddled with the blood, but at this point, history has me guessing: what exactly is democracy?